Friday, Apr. 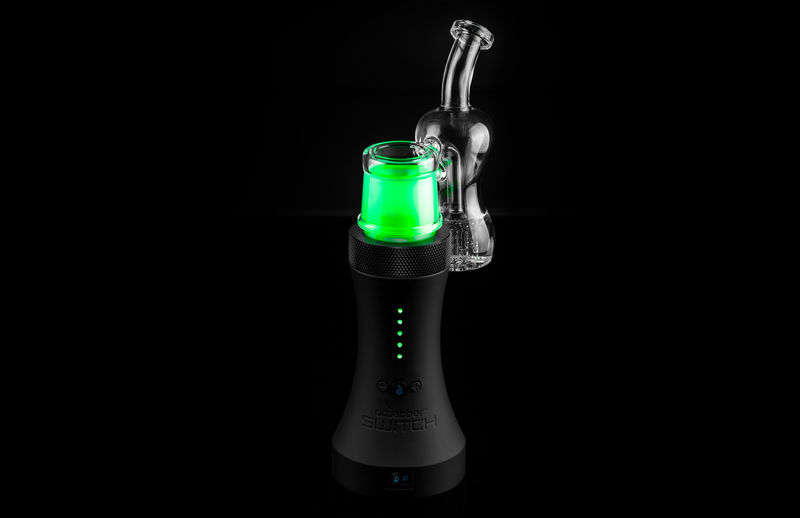 20th - Las Vegas, NV - Dr. Dabber has just pulled the curtains on what could prove to be the most innovative cannabis device released in the 21st century. Delving into new territory, the Dr. Dabber SWITCH aims to outperform every and any other vaporizer on the market -- oil OR flower. Engineered and designed over the past two years entirely in the USA, the SWITCH’s modern, minimalist design is eye catching, but only hints at the technological advancement housed within. 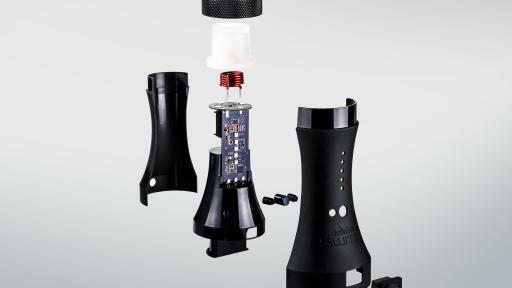 The product features a fast and exact heating process, extensive battery life, and 25 variable temperature profiles. Combined, these features make the SWITCH appealing for any serious vaporizer fan. 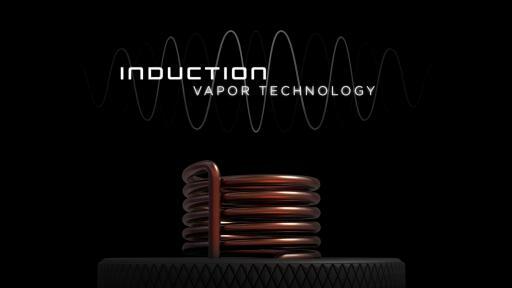 As the first Induction Heating unit in the Dr. Dabber line of products, The SWITCH’s development was fueled by extensive customer feedback analysis. Sealed electronics, proprietary battery packs, and intelligent battery management are all examples of Dr. Dabber’s commitment to creating a long-lasting, reliable product. 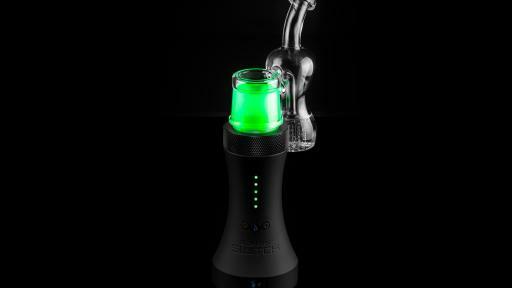 The speed and efficiency of the device are testament to the cutting-edge advances one would expect from Dr. Dabber. 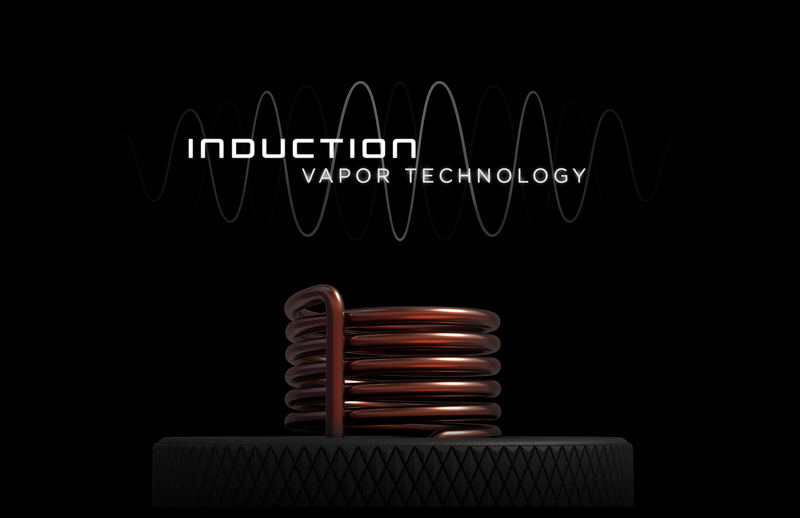 The SWITCH’s Induction Vapor Technology produces a uniform electromagnetic field to indirectly heat material within a sealed chamber, so there's no concern over hot spots, irregular flavor, wait times, or combustion and oxidation of material. 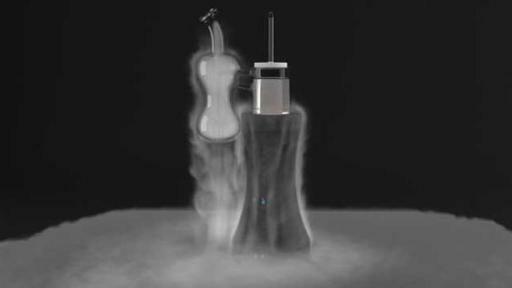 Compound activation is steady and vapor is smooth--every time, either oil or loose leaf. Plus, no electrical connections or atomizers means there are no parts to wear out and replace. The durable battery lets users enjoy the SWITCH for well over 100 heating cycles per charge. It powers a total range of 25 temperature profiles for a precise heating process that puts the user in control, keeping accuracy within 1% and optimizing heat cycles for the best possible vaping experience. 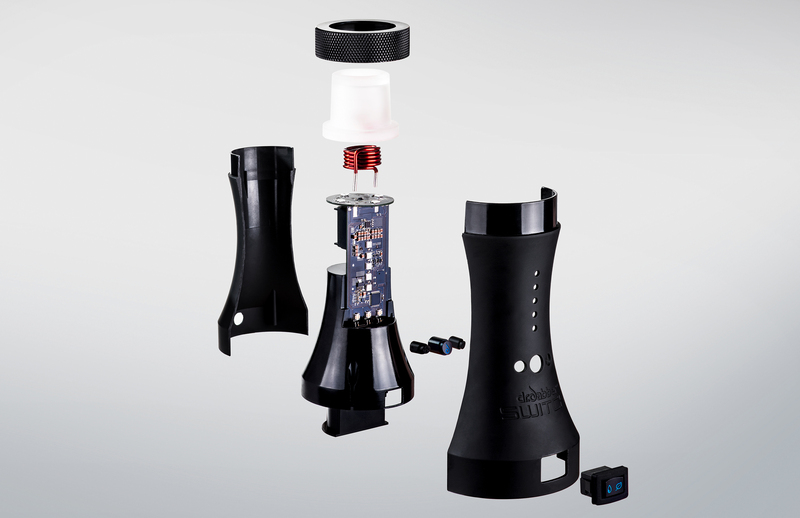 As a result, texture, flavor intensity, and vapor density are fully customizable according to user preference. An internal memory retains user settings for convenience, so the user can ‘set and forget’ once they find their perfect profile. 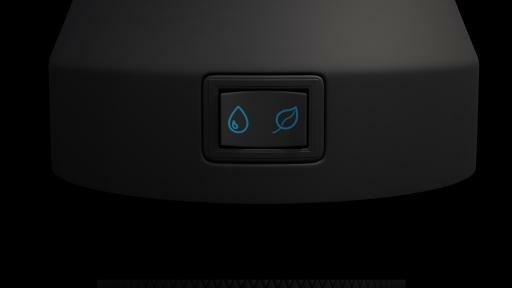 The SWITCH’s clever utilization of LED lighting not only serves as a functional indicator, but also as another customizable ambient option for the user. 25 distinct color patterns illuminate the glass attachment in a warm glow that makes the unit look at home with the latest ‘smart home’ accessories. 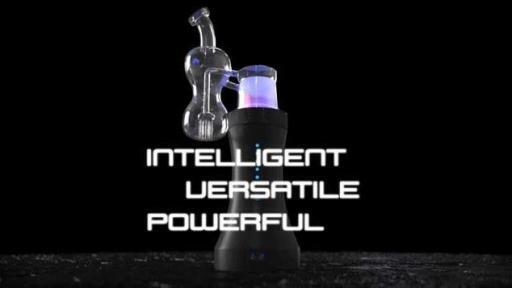 As versatile as it is dependable, Dr. Dabber's SWITCH takes a bold step forward in the evolution of the vaporizer. 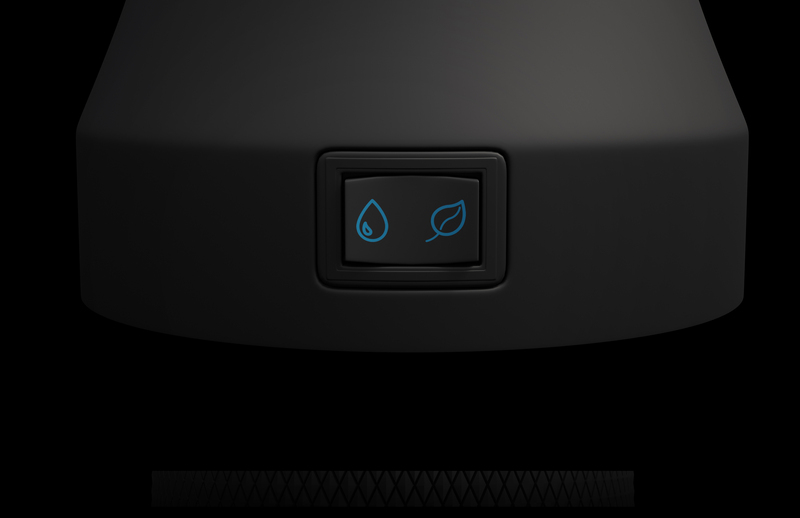 The carefully-calibrated heat process, sealed electronics, and long-lasting battery ensure reliable and precise performance, while the sleek design and use of LED lighting make the unit as beautiful as it is functional. An absolute must for any cannabis connoisseur. Dr. Dabber creates portable vaporizers that are convenient and reliable, yet potent and effective. With an emphasis on building customer relationships, Dr. Dabber offers extensive after sales support while actively analyzing customer feedback, the driving force in future product development.